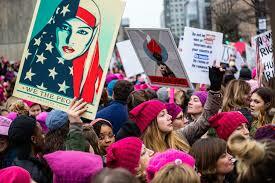 Women’s March 2018 | ‘We can’t afford the luxury of despair’ Women’s March 2018 | “We can’t afford the luxury of despair,” says activist Elise Bryan, who believes the protests have more energy and passion than last year’s march. Thousands attended marches across the U.S. and Canada on the anniversary of Donald Trump’s inauguration. Hundreds of thousands of demonstrators marked the first anniversary of the national women’s march in cities across the country on Saturday, vowing that last year’s massive turnout was only the first stage of a movement protesting President Donald Trump, as many politicians sought to add their voices, too. According to local media reports, organizers said some 300,000 people attended the rally in Chicago — far more than were expected. New York City Mayor Bill de Blasio’s office said 120,00 people attended a protest there. Los Angeles Mayor Eric Garcetti, also a Democrat, wrote on Twitter that 600,000 people turned out for its rally. At its 2 p.m. peak, last year’s Washington march drew some 470,000 marchers in a pointed protest to Trump’s inauguration that stunned political observers and galvanized burgeoning opposition to the new president. This year’s focus is on Las Vegas, where marchers will gather Sunday, though news footage showed large swells of protesters in New York, Los Angeles, San Francisco and Denver. 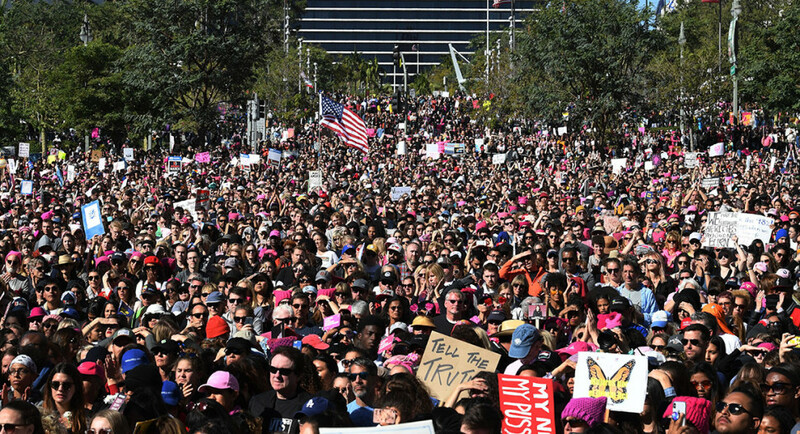 According to the march’s official website, protests are planned for both Saturday and Sunday in almost every state and around the world. Celebrities attending various events included Jane Fonda, Eva Longoria and Scarlett Johansson. Attorney Gloria Allred attended the Park City, Utah march. 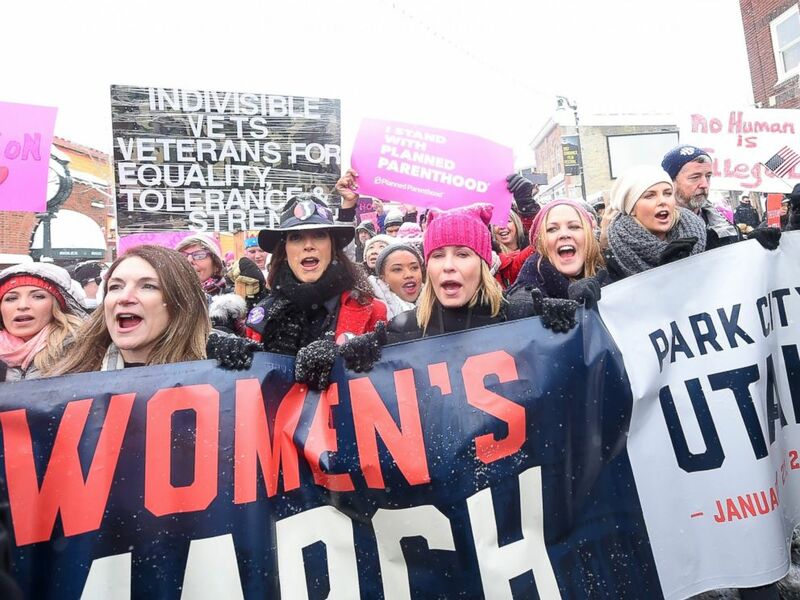 House Minority Leader Nancy Pelosi and New York Sen. Kirsten Gillibrand, both Democrats, attended the D.C. march. Democratic National Committee chairman Tom Perez emphasized the number of women running on the party’s ticket in November. “If the Congress, if the White House, if the governorships across America had more women like I see here today, we would be a much better America,” Perez said. In Washington, congressional hopefuls like Nadia Hashimi used the platform to highlight their campaigns. Hashimi is running to replace Rep. John Delaney (D-Md. ), who has announced his intentions to run for president in 2020 and is not seeking reelection. The Cook Political report rates the seat as a safe Democratic district.